Enjoy a Sunshine Coast holiday in our affordable and spacious apartments located in the heart of Hastings Street, Noosa. Ocean Breeze Resort is also the ideal base to explore the pristine Noosa National Park, cruise the beautiful waterways, or head out to the famous Eumundi Markets. The ideal complement to the beautiful beach setting, Hastings Street is the jewel of Noosa’s urban crown. 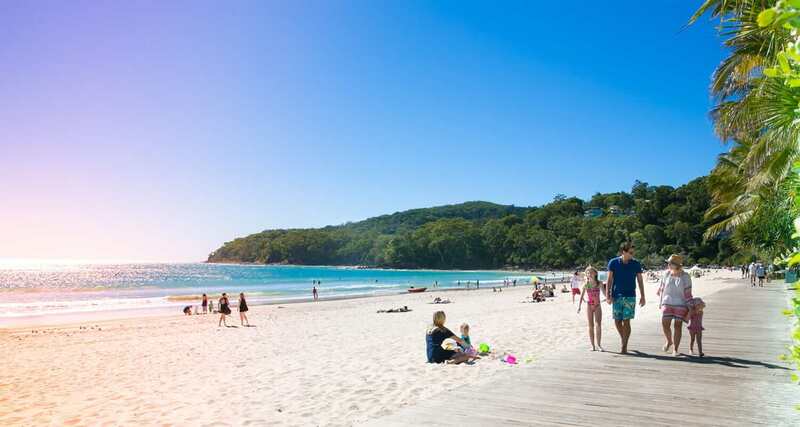 Along this cosmopolitan strip you’ll find an array of world-class restaurants, friendly cafes and the region’s finest boutique shopping – all on the door step of our Noosa accommodation. Just a short stroll across the road to Noosa Main Beach and set amongst the thriving cultural and entertainment hub that is Hastings Street, Ocean Breeze Resort’s much sought after location is one of the key reasons why we are a Noosa accommodation favourite. Boasting an extensive array of facilities the resort offers two heated outdoor pools, gymnasium, sauna, meeting room, half tennis court and a large pool side bbq area. We also offer a guest transit lounge with kitchenette and guest bathroom facilities. Ocean Breeze Resort offers a range of spacious and affordable one, two and three bedroom self-contained apartments scattered through sub-tropical gardens. The varying sizes of our Noosa apartments ensure that Ocean Breeze Resort is suitable for couples and families alike.